Home/Helpful Info/Resources/Are You Salt Savvy? 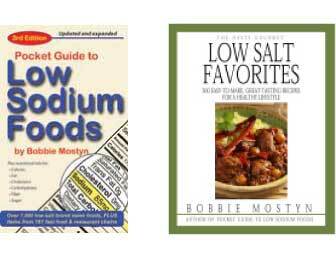 Here are a couple of quizzes to help you find out how much you know about salt and the foods you choose. Click on the “+” to see the answer. Which Foods Have More Sodium? A frozen dinner of sliced beef with gravy, mashed potatoes and peas OR one cup of chicken noodle soup? A cup of Manhattan (red) OR New England (white) clam chowder? A cup of instant oatmeal OR quick-cooking oatmeal? A large bagel OR a large glazed doughnut? One ounce dry roasted, salted mixed nuts OR an English muffin? One cup of shredded wheat OR one cup bran cereal with raisins? A fast foods grilled chicken sandwich OR fish fillet sandwich OR hamburger? One-half cup instant chocolate pudding OR one-half cup regular, cooked pudding? Four large olives OR a slice of raisin bread? A Pina Colada OR Bloody Mary? One slice of Swiss OR one slice of American cheese? A medium serving of french fries OR 2 tbsp ketchup? A cornbread muffin OR a dinner roll? A 3 oz pork chop OR 3 oz of ham? A corn tortilla OR flour tortilla? Salt is not a major factor in blood pressure. False. When levels of sodium are too high, the body retains fluid. Scientists believe this process is linked to high blood pressure, which in turn is linked to heart disease and stroke. A low-sodium diet may help prevent developing high blood pressure. True. According to National Institutes of Health studies a diet low in fats, cholesterol and sodium and plentiful in fruits, vegetables and low-fat dairy products not only lowers blood pressure, but may help prevent and control hypertension. One in three African Americans over the age of 18 suffers from hypertension – twice that of the general population. True. The rate of hypertension in Blacks is twice that of the general population. Additionally, 20% of deaths among black Americans are due to high blood pressure. After menopause, women are more susceptible to high blood pressure. True. Changes in hormones may make women more susceptible to hypertension. One in four American adults have hypertension. True. In fact, nearly one-third of the population doesn’t know they have high blood pressure. The recommended amount of salt a person should consume daily is 2-3 teaspoons. False. One teaspoon – or the equivalent of 2,400mg – is the daily recommendation. Salt is an acquired taste and your desire for salt can be decreased. True. It takes about 4-6 weeks to retrain your taste buds. In fact, eventually things that used to taste good will taste salty. Not all foods high in sodium taste salty. True. Many bakery products contain baking soda and/or baking powder which raises the sodium content without tasting salty. Foods labeled reduced or less salt are okay to eat. False. These statements indicate a product has at least 25% less sodium than normal. For example, a cup of chili with beans averages 1,163mg, the less salt version still has 710mg. Foods that have less than 5% (120mg) of the Recommended Daily Value are low in sodium. True. Anything less than 140mg is considered low sodium.